Hope you’re all doing well and enjoyed reading my blog post on Seville last week. So I wanted to switch gears now and post something on fashion and how to dress casual chic for summer. So California is blazing hot in Summer as you all know and what works best (unless you are in San Fran downtown) is a simple sundress. I got this really cute green and white dress from H&M at a steal deal. 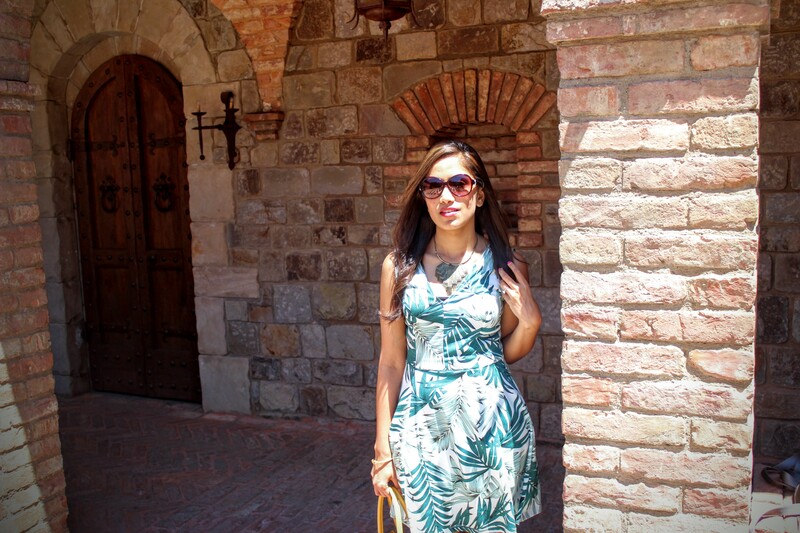 I wanted to dress chic but comfy at the same time for my visit to Napa for wine tasting. All I did was added some wedges, a fun necklace and bag to it and I was ready to explore Napa. 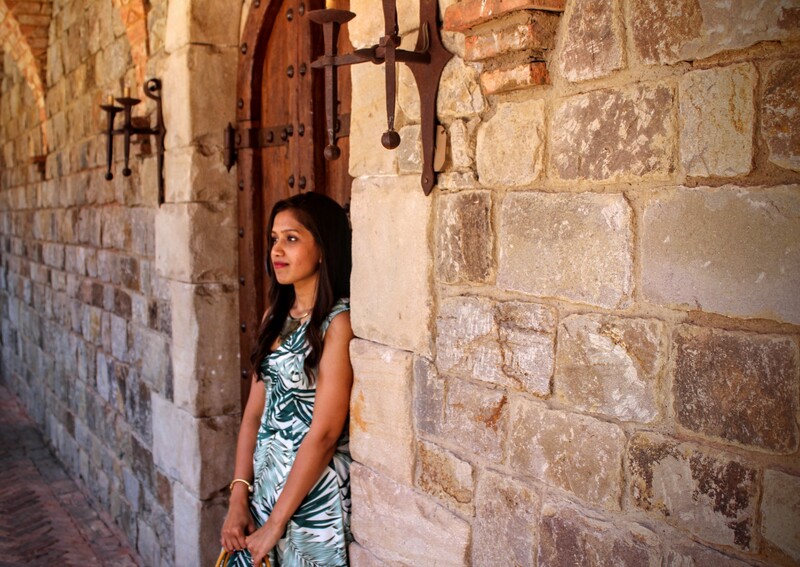 Everytime I go to Napa I visit a new winery – this time I visited Castello Di Amorosa. I loved the winery as its built like a castle. The wine tasting rooms are awesome and you can take some beautiful pictures. The green dress is from H&M. Good fit and length. 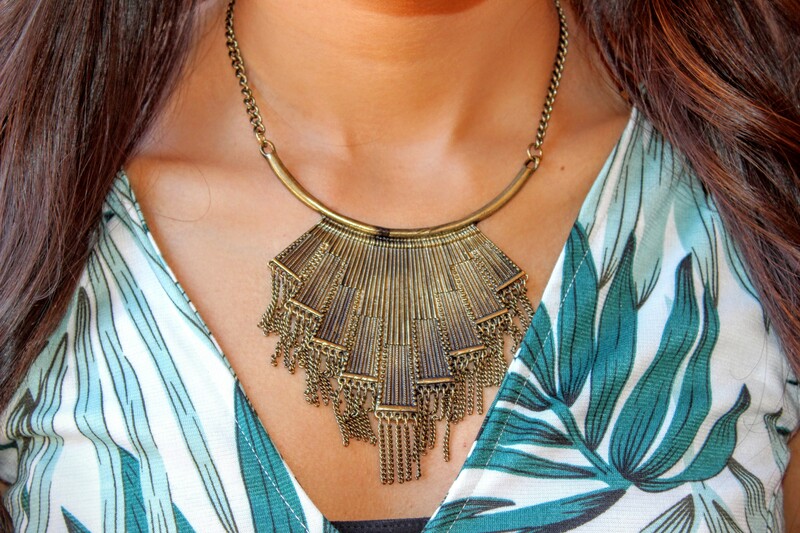 The necklace I wedges I am wearing are from Nine West. I like wearing wedges in summer as it makes the outfit look more fun and also gives me some height. The bracelets I am wearing here are from Francesca’s Collections. Simple white bracelet to go with the dress. The necklace I am wearing here is from Top Shelf Style. Its a small boutique in San Francisco downtown. I have styled this before as well with Jeans. Check my outfit post here. 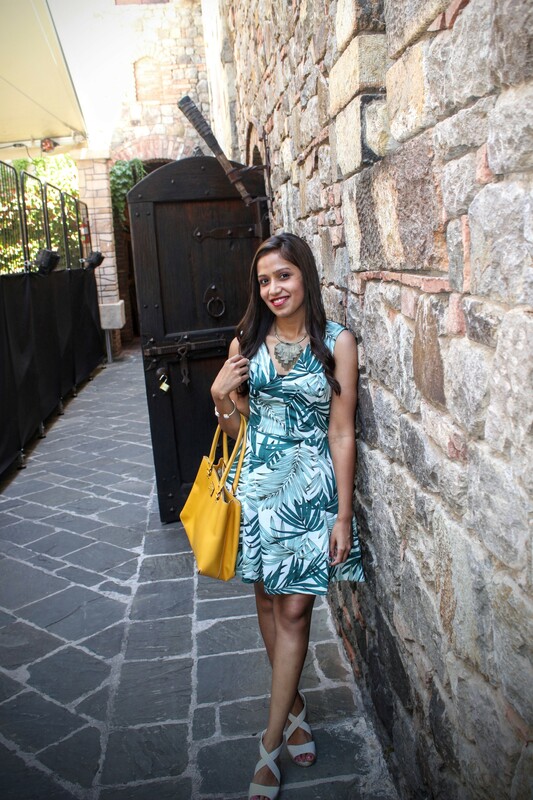 Hi Ankita, I love the pop of yellow color bag in this outfit. This look is chic and comfy, loved it. 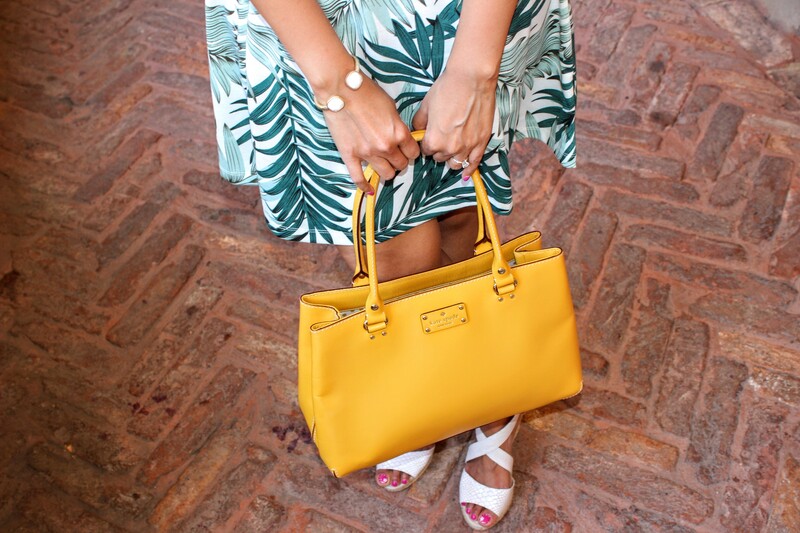 Such a chic look and the tropical print is giving all the summer vibes. You look gorgeous.